Whether it’s for Valentine’s Day, an anniversary, or even just a normal weekday, everyone enjoys a nice romantic gesture every now and then. Although it’s nice to go out for lunch or do the traditional dinner-and-a-movie date, there is another intimate option right at home: a dinner in your own backyard. 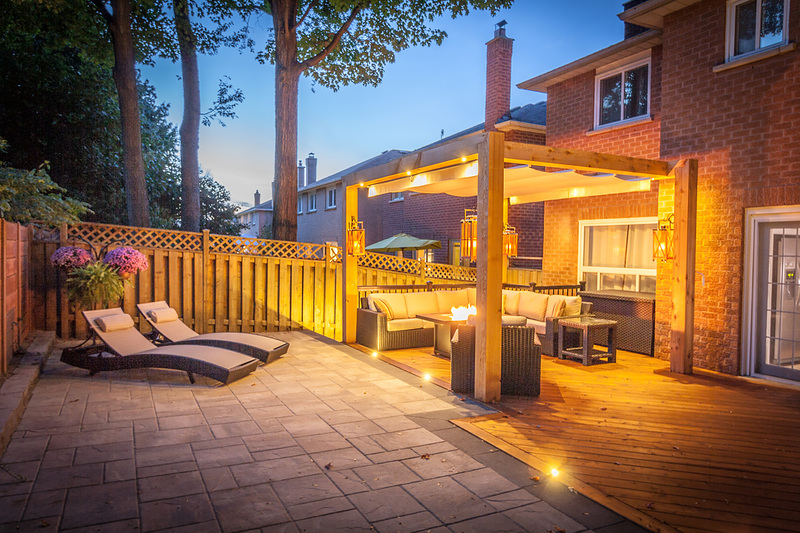 So, with the day of love just around the corner, this would be the perfect chance to turn your backyard into the most amazing place to be this year. Let’s look at a few general tips for a successful date night at home. Set the mood with lights, romantic music and comfy furniture. Give your backyard dinner date just the right atmosphere with a little romantic background music. Consider your significant other’s tastes, of course. If he or she doesn’t like classical music, a playlist of Mozart probably won’t do the trick. If you’re aiming for a quiet, intimate experience, stick to tunes with a moderate or slow tempo to keep things relaxed. Likewise, you might want to provide more comfortable seating than basic lawn chairs for your backyard date. For the full romantic effect, go for a comfy outdoor loveseat with plush cushions. During the evening you can sit side-by-side with a nice bottle of wine. Finally, make sure your lighting sets the right mood without being impractical. Though your fire pit will provide a warm glow, it may not be enough to see what you’re doing. Add a few decorative lanterns around your seating area, hang string lights or fire up some tiki torches to provide extra light. Preparing and cooking food together is intimate and quite romantic. Cooking a special meal together is a great Valentine’s date idea. 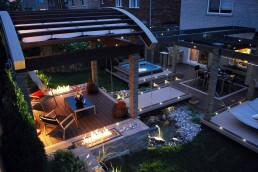 An even better idea is to take it outside and create some atmosphere with a romantic picnic set-up. Stock your patio wine refrigerator, cut up vegetables for kabobs, set out the condiments, and create a fantastic grilled meal for two. While preparing and grilling the food together, you can catch up on how your partner’s week went or start working out the details of your next romantic getaway. If you can’t be bothered with the cooking, there are other options. Get take out! Some restaurants have special menus for Valentine’s Day. From heart-shaped ravioli to apple rose desserts, order something from the menu to suit the occasion. On the flip side, you could up the ante and invest in a personal chef. A private chef can cook you a meal in your own home, catering to a specific menu. This would help to make the night more magical and deliver a memorable date for you and your valentine. With our Kissing Canopies you have the flexibility of selecting which area you want to use, regardless of weather conditions. You can have the most expensive, gorgeously decorated outdoor dining table in the land, but if it’s sitting smack-dab in the middle of a concrete patio and it starts to rain, it can spoil your plans. We have the perfect solution for the season. 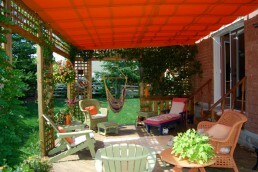 Our retractable canopies provide shade, privacy, and help to define and protect your outdoor area. Theses homeowners from Burlington, Ontario have the right idea. 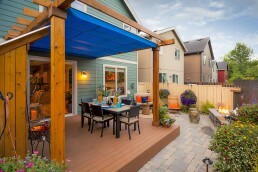 Instead of purchasing one large unit to cover their backyard living and dining area, they opted for the appropriately-named kissing canopy deployment – a technique that places two units on the same track. Now the homeowners have the flexibility to cover their dining and lounging areas independent of each other, without compromising full coverage. Picture it! After a romantic candlelit dinner move over the lounge area, retract the canopy, and end the night cuddled up under the stars. 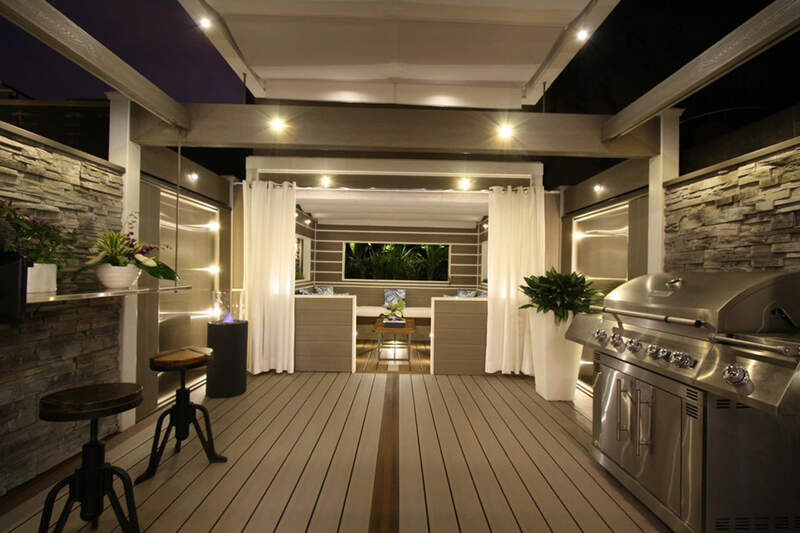 Remember, the beauty of planning a backyard dinner at home will allow you to combine sweet romance with the familiarity and comfort of your own home. Set the mood, supply the food and seal it with versatile shade for a truly amazing Valentine’s Day date. 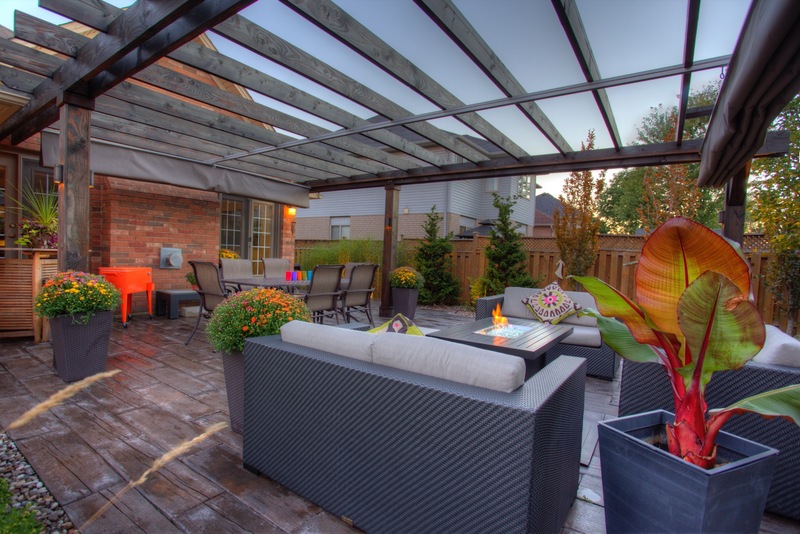 Transform your outdoor area into cozy spaces. Contact us today.